I like they're giving every class face-time (calendar-time? ), can't wait to see what the next 11 months bring imagewise. Dark Instructors anyone? Are they going to skip this month? So I'm not sure if this is relevant anymore but I thought I'd share some I've had for a while, I lost the other ones, sadly. Don't kill me pl0x, I promise I lost the rest. Lol, I'm guessing they are gonna skip February and most likely March. 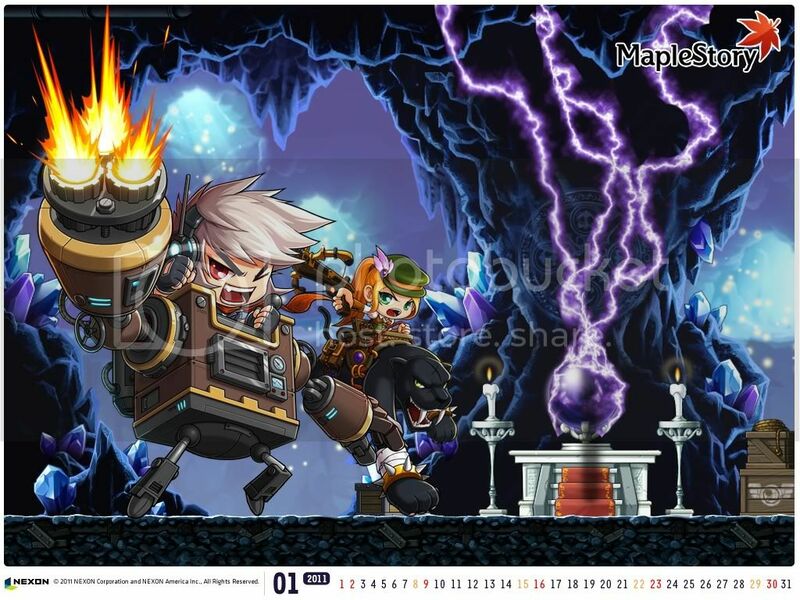 Nexon is missing six calandars in this year.